Martin Ellis is the Head Coach of the Shevington Sharks Open Age Team. He can be contacted on 07976 777563. The Open Age Team Manager is Steve Dillon. He can be contacted on 07718 228422. 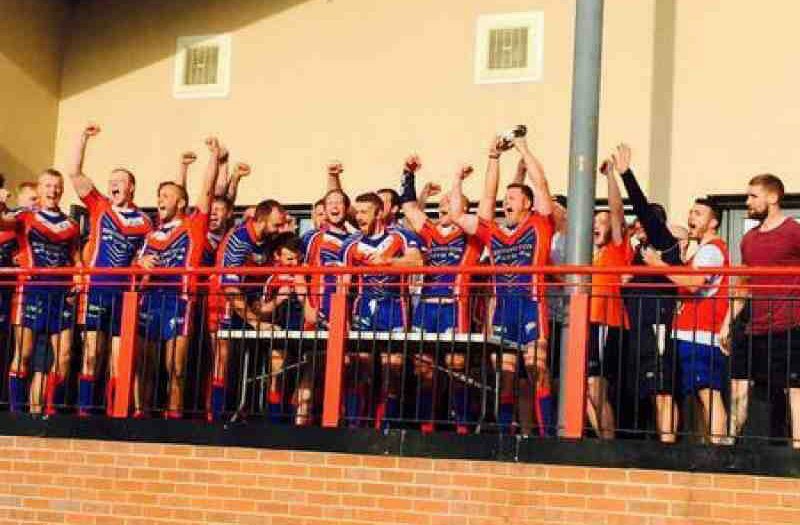 Situated in the Premier Division of The RFL’s Mens Rugby League competition, the Shevington Sharks play their home games on Saturday afternoons at St John Rigby College, Gathurst Road, Wigan, WN5 0LJ. Famed for entertaining performances both on and off the pitch, the Sharks look forward to a challenging 2017 season. New players and sponsors are always welcome. For further enquiries please contact Head Coach Martin Ellis on 07976 777563. Please click here to view the latest league table. On Saturday the 5th August the Sharks entertained Haydock at St John Rigby were an impressive first half display saw the Sharks go in leading 24 – 0 at half time. Haydock regrouped at half time and though they won the second half 14 – 8 on the back of a succession of penalties the Sharks went on to win 32 – 14. The win puts Shevington into 4th place in the North West Mens League Premier Division. Next Saturday the Sharks travel to Hindley for another important league game as Shevington attempt to consolidate a play off position – Kick off is 2.30 pm.